Intrigued by what I had seen at the 3DP Shootout, I was keen to get my hands on the Afinia to test it myself. The folks from Afinia were kind enough to lend us an Afinia H480 for testing. I took full advantage of the Christmas break to put the machine through it paces by running many multi-hour prints. Read on to find out how machine performed. What’s Up with Afinia and UP!? 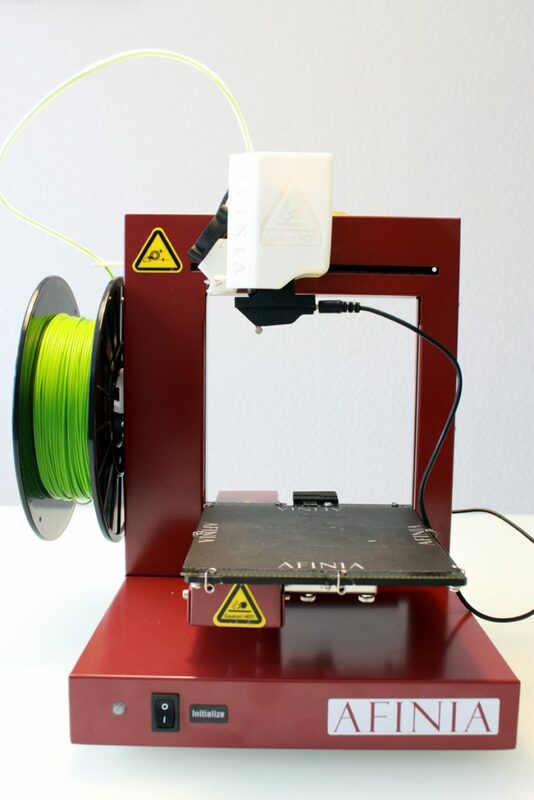 In case you have been browsing the internet in search for a 3D printer to buy, you may have noticed that the Afinia H480 does look very similar to the UP Plus 2 machine. This used to confuse me and it was not until I did some digging that I found out that both printers do not only look similar but they originate from the same source. The Afinia H480 on the left, the UP Plus 2 on the right. Not much difference between both machines. UP! is the brand name of Beijing TierTime Technology Co. Ltd., a China based 3D printer manufacturing company. 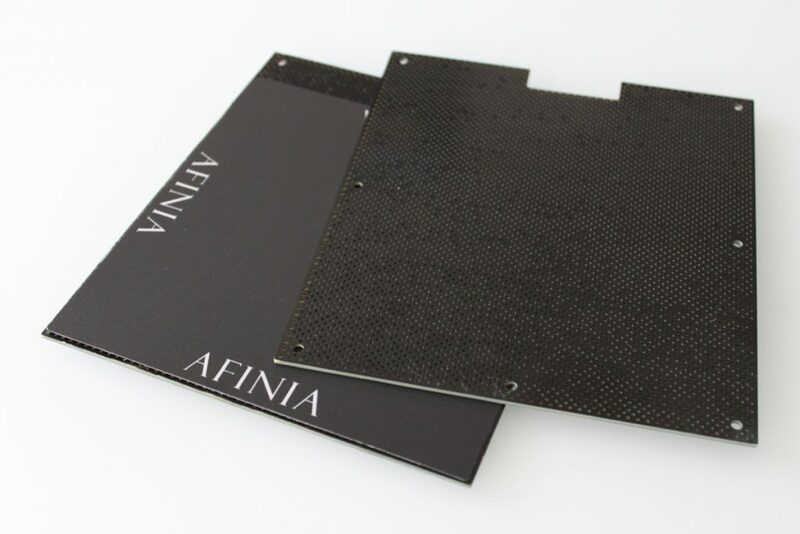 US based Afinia is a private brand OEM partner of Beijing Tiertime. While Tiertime provides the technology (in other words the printers), Afinia provides the customer and technical support, distribution, warehousing and marketing. So while you get the same machine when buying the Afinia H480 or the UP Plus 2, customer service is provided by a different company. Now, I haven’t done any benchmarking between both companies but it should be noted that Afinia is very focused on customer service and warranties. 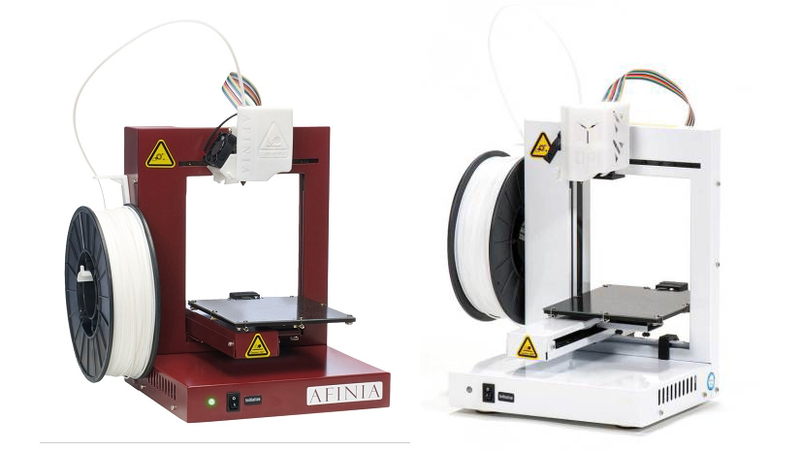 The Afinia is a compact, home 3D printer made from a sturdy, folded steel frame. It comes with a direct drive extruder, a heated build platform and an auto-leveling print bed. 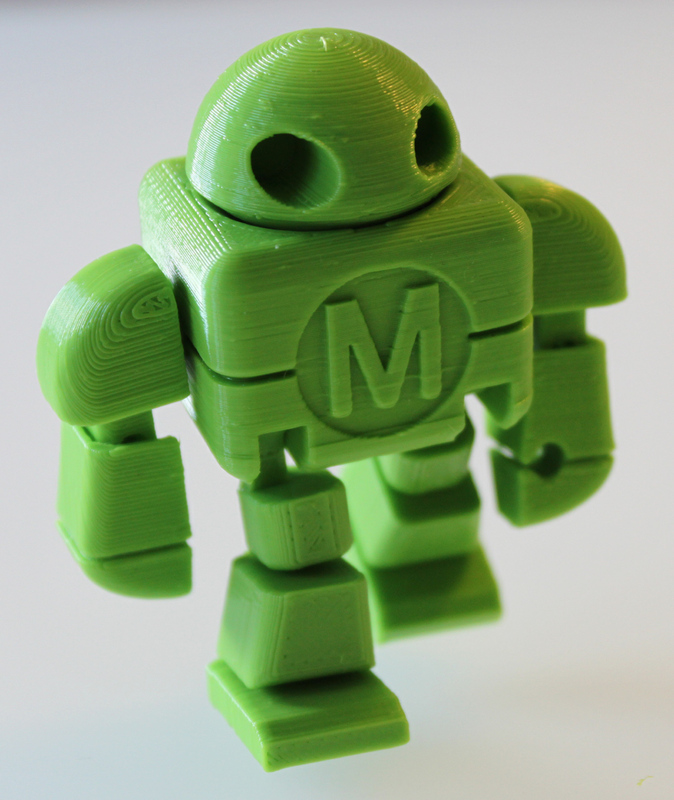 The printer consumes 1.75 mm PLA and ABS filament. 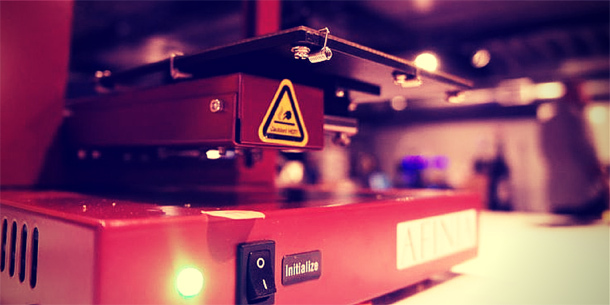 With its open frame design, the Afinia uses a moving-bed design for the 3D positioning system: the print head only moves along the X-axis, while the print bed moves along the Y and Z-axis. This architecture makes for a very compact and low maintenance 3D printer. The printer connects to the PC via USB, the machine does not have an SD card slot or onboard controls. Even so, untethered printing is possible due to the Afinia’s internal 2GB flash memory. With its neat 24 x 26 x 35 cm footprint, the Afinia H480 easily fits on any desk and the weight of only 4.9 kg (11 lbs) makes it also a very portable printer. In return, the 2646 cm3 build volume is on the small side though. The H480 was shipped in a cardboard box with plenty of foam padding, the kind that gives you the confidence that the machine survived the shipping without any harm. 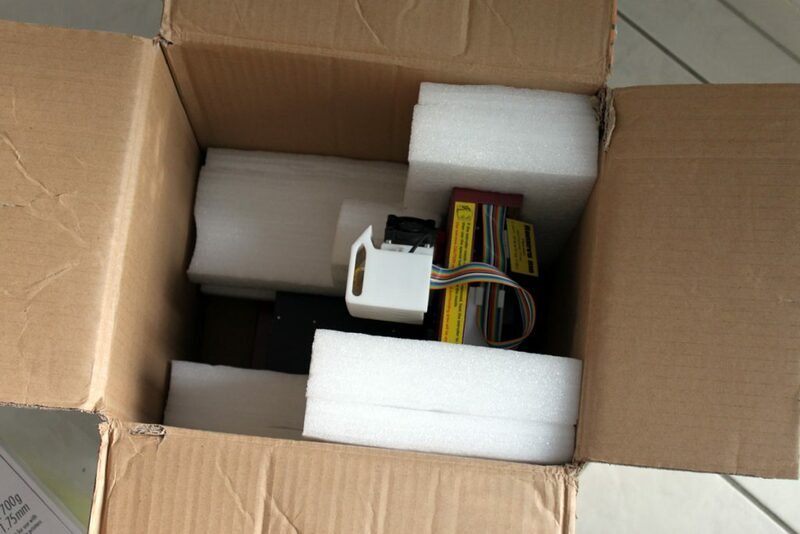 The printer comes with a user manual, the power supply, a spool of white ABS filament, three perforated boards (for the build platform) and three BuildTak sheets. The shipping carton contained one more box and I was positively surprised when open this: it was packed with a complete set of tools such as a spatula, tweezers, snippers, a utility knife with six blades and a pair of safety gloves. It is nice to see that Afinia is setting you up with all the tools necessary not only to print but post-process your prints. The instruction manual walks you through the setup process: first, you install the filament spool by clipping the spool holder to the side of the printer. Then thread the filament through the filament guide tube and insert the protruding end of the filament into the extruder. Then you connect the printer to the power supply, plug in the USB cable and pop the installer CD into your disk drive. The setup shield guides you through the software installation, I did not encounter any issues with installation on my PC running Windows 7. Before proceeding any further, the printer needs to be intialized. This can be done either via the Initialization Switch located on the front of the printer or via the Afinia 3D Program. The printer beeps, then runs through its procedure of moving the print head and the build platform before returning everything to its starting position. FR-4 Board: the FR-4 board is a perforated, glass-reinforced epoxy laminate sheet. The advantage of the perforated board is that the first layer of the raft pushes liquid filament into the perforations creating a strong mechnical bond. This makes sure that the print won’t lift or delaminate. Another option for the print bed surface is BuildTak (see our separate review of BuildTak here). BuildTak is a thin, durable plastic sheet that provides an optimal printing surface for 3D objects to adhere to while being printed. The H480 comes with three BuildTak sheets, cut to size for the buildplatform. To install BuildTak you first remove the white adhesive liner then position the sheet ontop of the FR-4 board before smoothing it down with a credit card. Note that the Afinia user manual also refers to Borofloat glass as an alternative print surface. Now, don’t go looking for that sheet of glass amongst the spare parts that came with your printer (as I did) since you won’t find it. While the FR-4 board and the BuildTak sheets are actually shipped with the printer, you need to buy the Borofloat glass separately. It would certainly help if Afinia clarified this in the user manual since you are currently left wondering if they missed to ship the Borofloat glass plate or not. The FR-4 board (covered with BuildTak or not) is attached to the platform using the eight spring clips. You put the board into place then put the clips into their correct position, on top of the FR-4 board. As the Afinia comes with some advanced features for bed leveling and calibration, these deserve a closer look. As a first step, you need to physically level the platform. 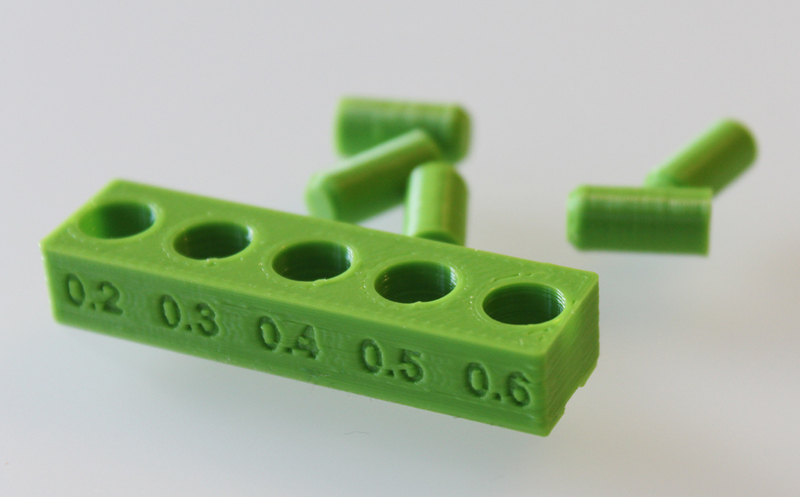 There are three thumbscrews located under the platform and you loosen/tighten these until all four corners of the build platform are at equal distance to the nozzle. In case you are faced with a print surface that has warped or has inconsistent thickness one can apply the platform level calibration process. This can both be done manually and automatically whereby the automatic process is the most interesting since this advanced feature is not found on many 3D printers. 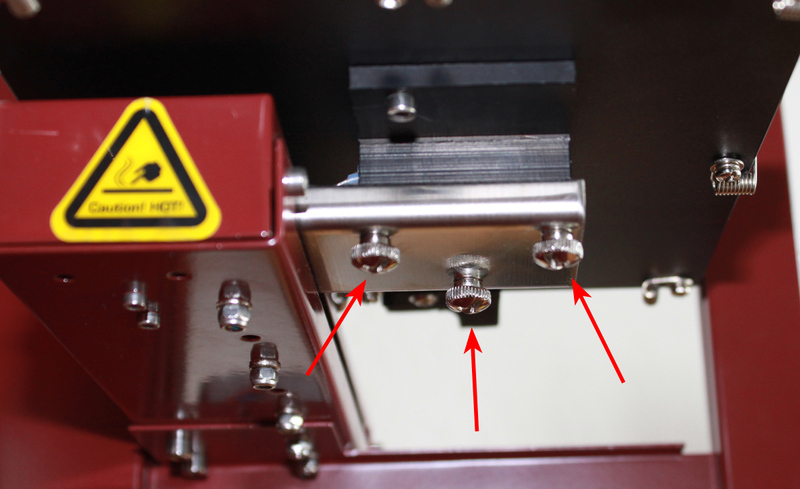 To execute the platform level calibration, you attach the so-called Platform Probe to the bottom of the extruder motor and connect it with a data cable to the Data Connection on the back of the Afinia. The probe then measures nine calibrations points across the build platform the determine the difference in height between the highest point an the other eight points. The printer then uses this information to adjust the printing of the raft taking into account the necessary heigth adjustments. It should be noted that this nice feature has a significant drawback: it works only when you print with a raft. I am not a big fan of rafts and hardly ever use them when 3D printing such that this feature has no practical value for me. Once the print bed is level, you still need to adjust the distance between the nozzle and the print bed. This can again be done either automatically or manually. For the autmatic calibration, you attach the data cable to the Nozzle Sensor (located on the back of the print platform) and connect it to the Data Connection on the H480. Triggered by a software command the extruder then lowers towards the build platform until the nozzle touches the Nozzle Sensor. 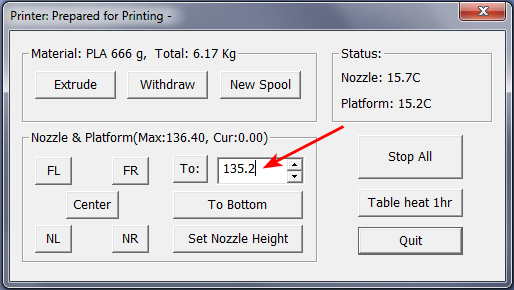 The detected nozzle height can then be registered as the default nozzle height setting. Unfortunately, the automatic nozzle height calibration also has limitations as it only works if you use the bare FR-4 board. As soon as you cover the perforated board with BuildTak or blue tape you need to switch to the manual nozzle height calibration process. Fortunately though, the manual nozzle height calibration is very easy to do: you center the print head and lift the build platform until it is about 1 mm away from the nozzle. You then nudge the platform closer to the nozzle by using 0.1 mm increments. What’s really neat is that you can do this precise nudging via the software, no need to touch any screws. This turns out to be one of my favorite features of the Afinia H480 as it makes it incredibly easy to adjust the nozzle to print bed distance to perfection! As a final step, one needs to heat up the extruder and insert the filament into the top of the extruder head until the extruder motor start pulling it in. If you install a new spool or change filament type you need to make the corresponding adjustments in the Afinia 3D Program. 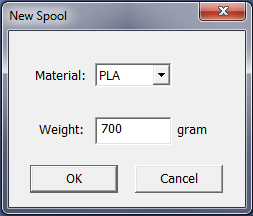 The New Spool command let you select the material type (ABS or PLA) and it lets you enter the weight of the spool. This information is used to keep track of how much material has been used and the software will automatically warn you if you try to run a print and don’t have enough material left. With all of these steps completed the Afinia is ready to print! Overall, installing the Afinia H480 is not difficult, you can be up and running in under one hour. The Afinia comes with its own software, called Afinia 3D Program. The Afinia 3D Program is both the host software to drive the printer as well as it serves as slicer to create the g-code translating the 3D models into machine readable language. The Afinia 3D Program has a clean, simple user interface. This provides all the basic features such as loading, unloading, placing, rotating or scaling 3D models. 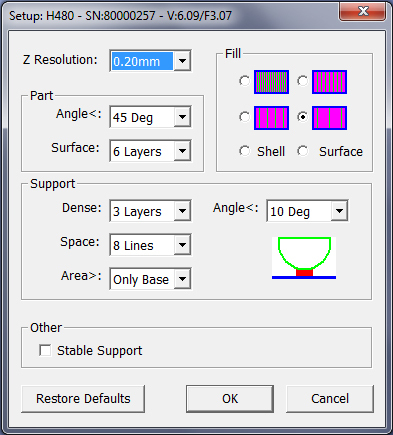 The Maintenance menu of the software also lets you do all the print bed adjustment (as described above) while the Print menu lets you adjust the infill, support and quality settings. All settings are dumbed-down a bit in the sense that you don’t immediately see exactly what impact a change in settings has. For example, the infill setting options are: Solid, Loose, Hollow and Big hole. It is only in the back of the user manual that you learn that Solid stands for a 50% infill while Big hole stands for 12% infill. You cannot influence the settings beyond these pre-configured levels. There is no telling exactly what the Quality settings of Normal, Fast and Fine do. While the Quality setting undoubtedly influences print speed, it is impossible to see at what mm/sec speed the H480 is operating. Due to the simple controls, the Afinia 3D Program is certainly easy to use and doesn’t come with a steep learning curve. 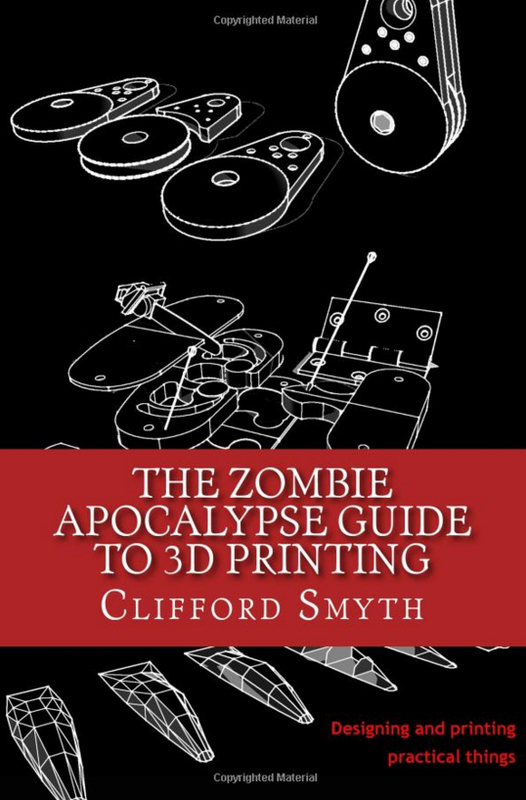 Any beginner in 3D printing will be able to master the few settings quickly, the software will certainly not stand in your way to getting to your first print. For anyone who has used different slicers in the past though, the Afinia software will feel limiting. A feature I do sorely miss with the Afinia software is the ability to view the fully sliced model. 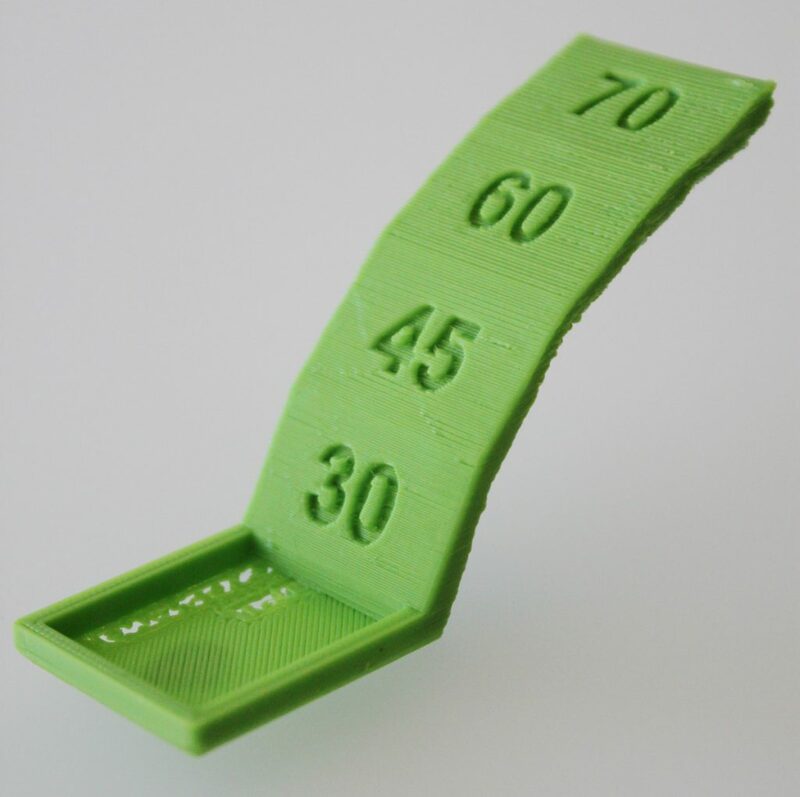 You can run a print preview that tells you how long your print will take to complete but it does not visualize how and where the supports are placed. Since supports cannot be turned off completely I found this particularly annoying. You always have to wait for the print to complete before you can actually tell where the software placed the supports. Once you launch your first print, you quickly learn a few more things about how the Afinia works. The machine has a LED light on the front panel that serves as status indicator. 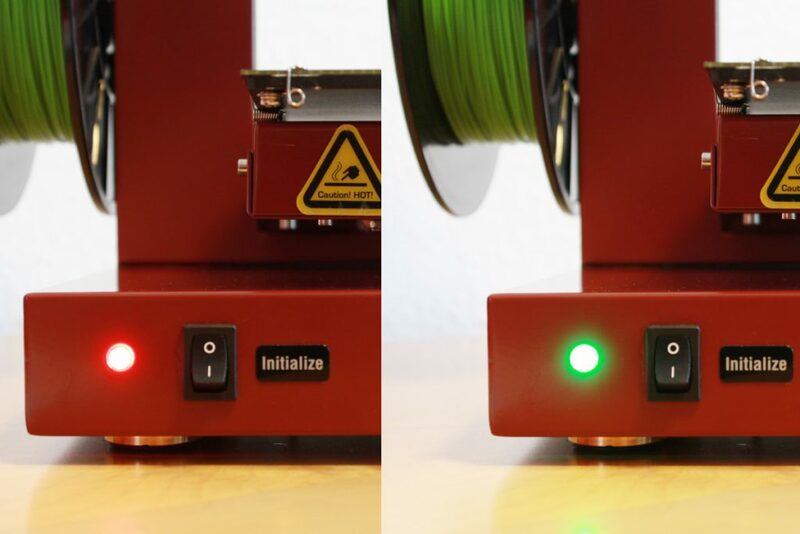 This gives you constant feedback and switches between green and red (or a mixture thereof) to let you know if the printer is ready, printing or in some form of trouble. In total there is a list of seven printer states that can be indicated via the status LED. I find this to be a nice little feature, most 3D printers just sit there while you have to figure out what might be going on. The Afinia tells you what’s going on, even if in a very basic fashion. 1st beep: the first beep occurs once the file has been streamed to the printer. Following this beep you can unplug the USB cable to print untethered should you desire to do so. Note: for some reason Afinia doesn’t advertise the fact that you can print untethered much. Not sure why, but this is certainly a feature that deserves to be pointed out. 2nd beep: the second beep occurs once the extruder is at temperature and ready to print. 3rd beep: the third beep is actually a sequence of three consecutive beeps. These sound once the printer starts the 3D print. 4th beep: the fourth beep is a sequence of five consecutive beeps that occur once the print has completed and print platform has been lowered. I appreciate the beep alerting you to the completion of a print. Given the usually extended printing times of FFF printers there is a good chance that you won’t be sitting next to your printer during the entire duration of a print. The Afinia simply calls you once done. On the flip side, the beeping sound is loud and the beeping sequence during the launch of a print becomes tiresome after a while. I started using the Afinia H480 with the perforated board as print surface. I quickly grew tired of this since it requires you to add a raft to your 3D models that you need to remove once the print has finished. While the adhesion of the raft on the perforated board works well it simply adds a laborious post-processing step that can be avoided in most cases. The alternative offered by Afinia is BuildTak and I ended up using the FR-4 board covered in BuildTak for both the PLA and ABS prints. When switching to BuildTak, I highly recommend installing BuildTak on the FR-4 board and not the Borofloat glass (provided that you have some). As the FR-4 is perforated it makes it very easy to install BuildTak: there is no way that air can get trapped between the BuildTak sheet and the perforated board, you’ll always have a perfectly flat print surface. As for other 3D printer reviews, I decided to use the test probes from the Make 3D Printer Shootout to gauge the Afinia’s 3D printing performance. 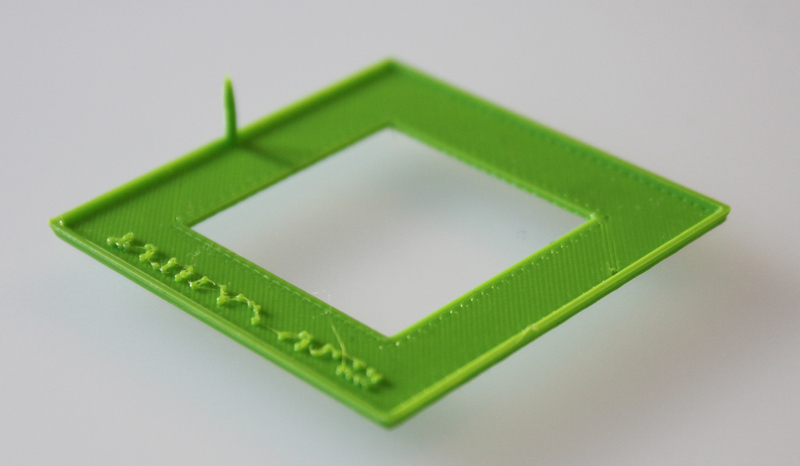 All tests were run at a print quality setting of „normal“ and a layer resolution of 0.2 mm. All probes were then evaluated on a scale of 1 to 5 with 5 being the maximum score. 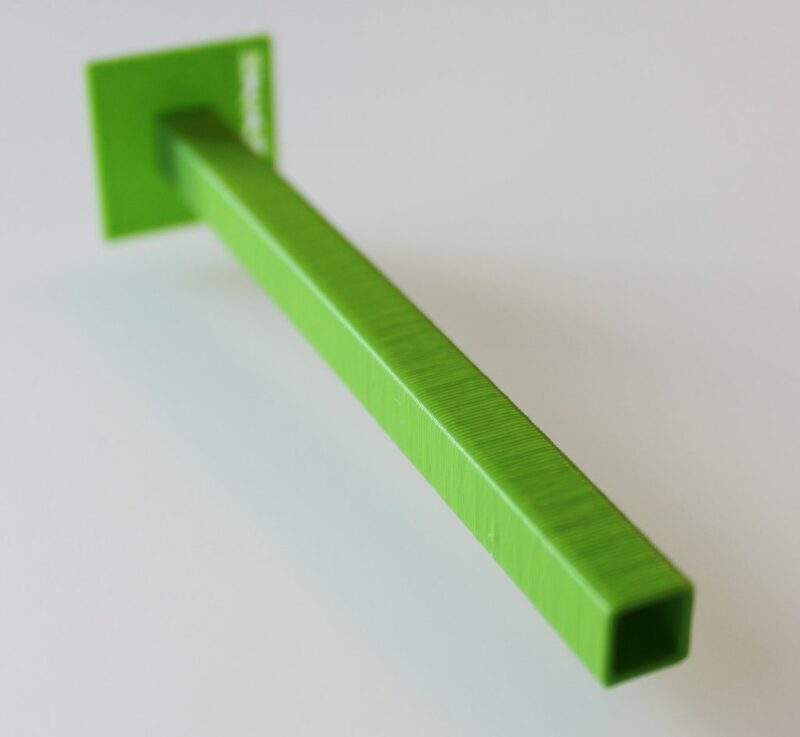 The dimensional accuracy probe measures how much backlash a printer produces. The probe consists of six super-imposed discs, each with a decreasing diameter. Once the print is completed, the diameter of the second disc from the bottom is measured. This has a target diameter of 20 mm, the Afinia’s probe showed deviations up to 0.3 mm. Score: 2/5. 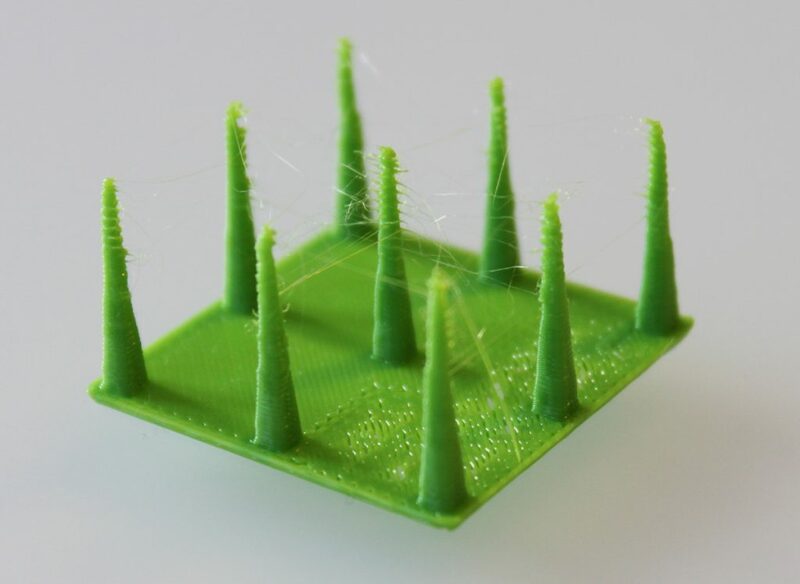 The bridging performance test is designed to probe a 3D printer’s ability to surmount distances without support material. The probe has five distances to be bridged, ranging from 20 mm to 60 mm. The H480 performed reasonably ok on this test, it managed to bridge all the gaps but drooping filament started appearing on the 30mm bridge and this increased on the 50 mm and 60 mm bridges. Score: 3/5. 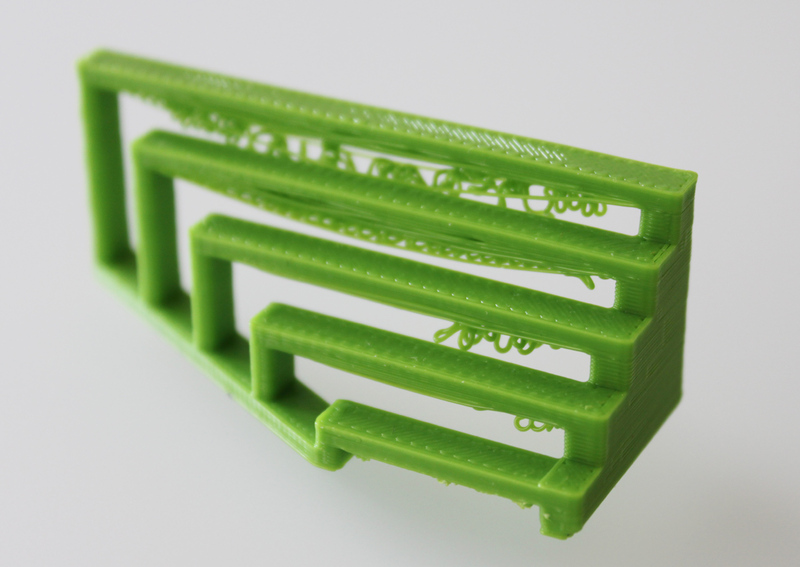 The overhang performance test simply measures the angle at which the printer starts struggling with completing overhangs. The probe has four angles at 30°, 45°, 60° and 70°. The Afinia managed to print the complete probe, started struggling at 45° angle though and drooping loops are clearly visible at the 60° and 70° angle. Score: 3/5. The negative space tolerance test is a measure of a printer’s ability to create fine negative (or empty) spaces making sure that two separate parts of a model don’t fuse together where they aren’t supposed to. The probe is a block with 5 pins, each with a decreasing negative space around it ranging from 0.6 mm to 0.2 mm. The number of pins that can be removed at the end of the print determines the score. Here the H480 excelled, 5 out of the 5 pins could be removed. Score: 5/5. 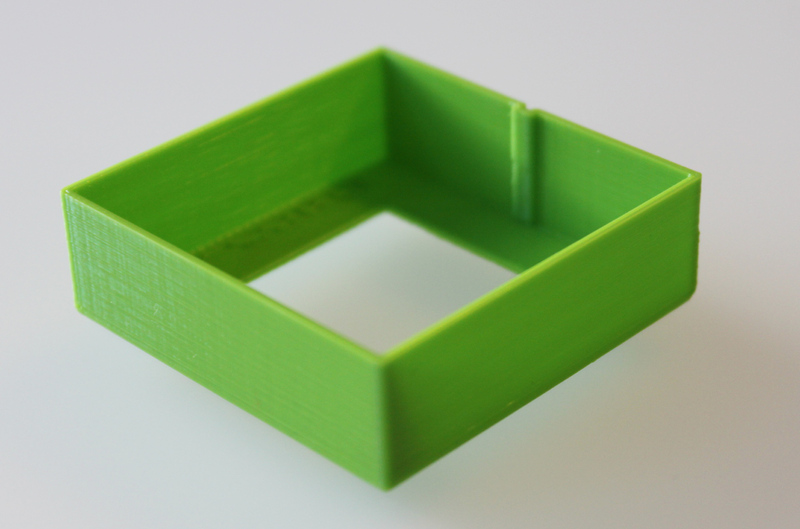 The fine positive space features test essentially gauges a 3D printer’s retraction performance. The probe is a plate with 6 conical spires that thin out towards the top. On this test the Afinia also performed really well: it completed all spires nicely and webbing started to appear only in the top 8 mm of the print. Score: 4/5. Two of the test probes measure the mechanical resonance in the XY gantry and the Z axis respectively. As resonance is difficult to measure quantitatively, this is a binary test which means that the test probes is either assigned a „pass“ or „fail“. On the first couple of tries the XY-resonance probe did not print. The Afinia would stop printing after it had completed the square base, it refused to print the thin walls of this probe. 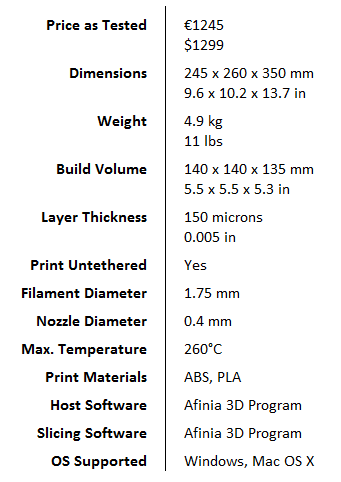 As it turns out, the Afinia 3D Program requires a minimum wall thickness of 0.75 mm in order for it to be considered printable. Thus, I had to switch to 1 mm wall thickness version of the XY-resonance probe to complete the test. Using the 1mm XY-resonance probe, the print turned out fine: there is no noticeable rippling at the corners nor at the inset of the print wall. Score: 2/pass. The H480 completed the Z-resonance probe though it needed to be scaled down since the original height of 150 mm did not fit the Afinia’s build volume. The results shows a uniform layer pattern that does not change at any point. Score 2/pass. The robot produced by the Afinia come out really nice! All limbs were moving from the first moment, no need to pry anything loose. Another testament to the Afinia’s ability to handle negative spaces. The surface of the robot came out mostly ok though the printer did struggle with some overhangs such as they occur around the shoulders for example. On the surface of the head, some small filament blobs appeared as well. Curved head surface: Score: 4/5. In the Afinia user manual I read about a feature that I absolutely wanted to try, the Pause At option. As its name suggests, this option allows you to automatically pause the printer at specific heights during the printing process. 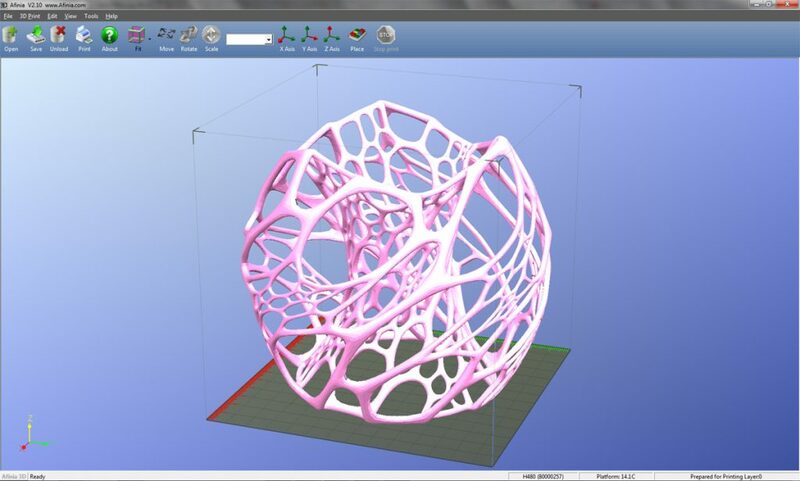 You can use this to create multicolored prints: you simply determine at what height of your 3D model you want to change colors and enter those heights into the print menu. The printer will then stop once it reaches the pre-determined height and move the print head way from the model. You can then swap the filament and re-start the print. A nice and easy way to create multicolored prints! Just be careful not to inadvertently attach the extruded filament strands to your model. Therefore, you need to cover it: I always used the spatula to cover the model while I plucked the extruded filament with tweezers. As PLA is easier to use and our recommended material option for beginners I typically test a printer by running PLA prints first. Now, since the Afinia is sold as a PLA and ABS printer I did obviously also ran models using ABS filament. When switching to ABS you need to let the Afinia 3D Program know by changing the filament type in the Maintenance menu. This will then increase the temperature settings for both the nozzle and build platform accordingly. Afinia did provide a 1 kg spool of yellow ABS filament. Upon running the first print with the new spool, I noticed that the filament kept popping out of the filament guide of the spool holder. It looks as if the 1 kg spool (the PLA spool was only 700 gr) stretches the limits of the spool holder/filament guide. I solved the issue by reverting to an external filament spool holder that I had printed previously. Other than that, the prints in ABS turned out equally fine as those in PLA. As expected, print bed adhesion is trickier with ABS but I got good results in using the perforated board covered in BuildTak. Pro tip: when using BuildTak in combination with ABS, you really have to make sure to set the distance of the nozzle to the print bed right. While PLA can be printed with a 0.2 mm gap, it is best to set this to 0.1 mm for ABS in order to ensure good print bed adhesion. 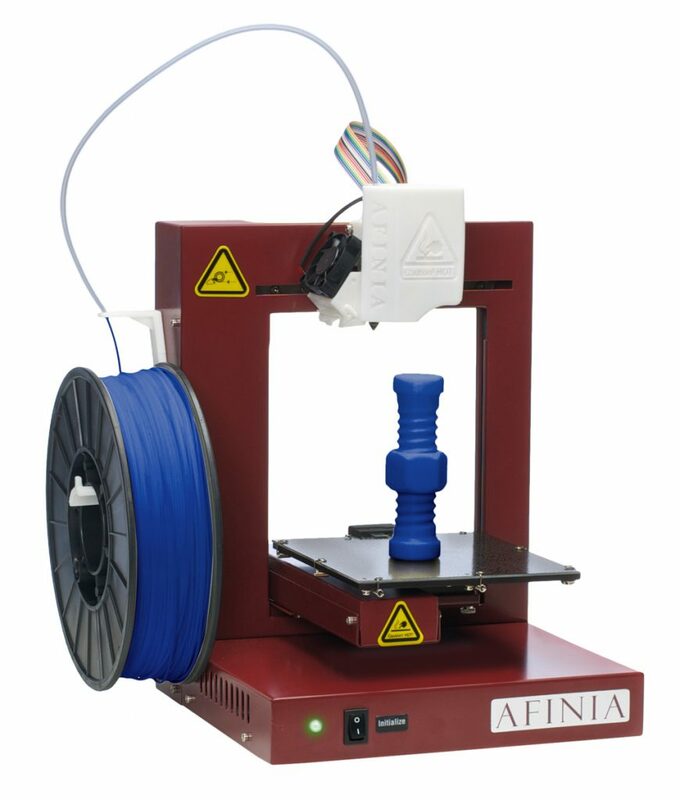 Print quality & advanced features: despite its small size and reasonable price, the Afinia comes with excellent features, namely a heated print bed and auto-calibration. These features certainly help in making the H480 user and beginner friendly. Add to that the 3D print quality and you got a winning combination. When it comes to print quality, the Afinia has its slight weaknesses, like bridging for example, but overall the machine delivers very respectable print results out of the box. A newbie will not struggle to produce quality prints, especially since the slicer settings are largely taken care of. Manual nozzle height calibration: I’ll say it again, this is my favorite feature of the H480. Actually this feature would better be called semi-manual nozzle height calibration since you don’t need to touch the printer (i.e. no manual intervention on the printer), the adjustment is done via the software. Being able to use 0.1 mm increments to nudge the print surface closer to the nozzle gives you exactly the type of precision required to adjust a print bed. This comes in particularly handy when using BuildTak since setting the right nozzle to print bed distance is absolutely crucial when working with this material. Warranty & support: the standard warranty on the Afinia is one year. While this may seem normal in consumer electronics, it is currently far from self-evident in the 3D printer industry where even some of the most established manufacturers fail to provide warranties beyond just a few months. You can even extend the Afinia warranty by another year with a 2nd Year Extended Warranty option. Regardless of the warranty, you are also guaranteed free life time support. All in all a very laudable after-sales approach that sets Afinia apart from more than one of its competitors. Noise levels: the Afinia is a pretty silent printer. I had it sitting on my desk while doing other work during all the test prints that I ran and its noise was not too distracting. The only slight blemish in this regard is that the fan that keeps running as long as the printer is switched on and there is no way to disable it. Portability: the H480 is a truly portable 3D printer. Due to its small weight, rugged chassis and compact size, the Afinia is easy to transport. Granted, a handle might even further enhance portability but compared to most other 3D printers this machine is easy to move around. Controls of the host software/slicer: the software that comes with the Afinia is fairly bare-bones but easy to use, especially for someone new to 3D printing. However, any user that starts getting into more advanced prints will outgrow the Afinia software sooner or later. 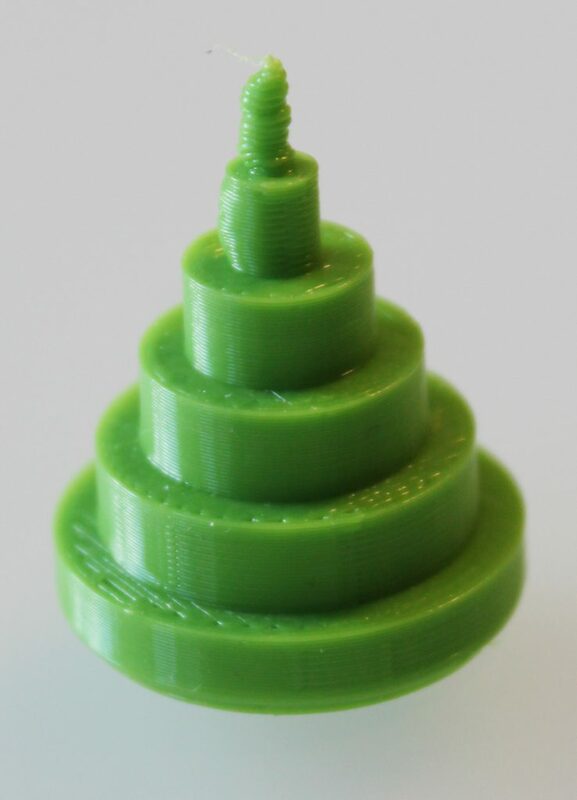 Having only rudimentary control over the printer speed, infill, shell and support settings will not satisfy an advanced user who likes to fine tune his prints. Further, the lack of any direct control over the extruder and print bed temperatures does limit you to using PLA and ABS filament only. I’d stay away from (nor does Afinia support) testing the more exotic filament types that would require you to fine tune extrusion temperatures. Build platform attachment: the build platform is held in place by 8 spring clips of which you need to remove at least 4 each time that you want to remove/replace the build surface. Now given that you are supposed to remove completed 3D prints only once you removed the build platform from the 3D printer, it quickly becomes very tiresome to fumble with these clips. They are quite small and not so easy to grasp, a magnetic attachment would be a welcome improvement here. Build volume: the compact design of the Afinia leads to a build volume that is definitely on the small side for FFF printers. Any interested buyer should be aware that the Afinia’s build volume will put constraints on what 3D models one can expect to print. User manual: finally, the user manual, though generally helpful, could do with some polishing. Be it for the Borofloat glass (which is referred to in the manual but not actually part of the package) or the fact that you can print untethered that is mentioned only in passing. The 4 different modes of platform leveling/nozzle height calibration can also be a bit daunting to a newbie especially since you first need to figure out which leveling mode actually makes sense for you. A bit of re-writing and clarification would certainly help here. 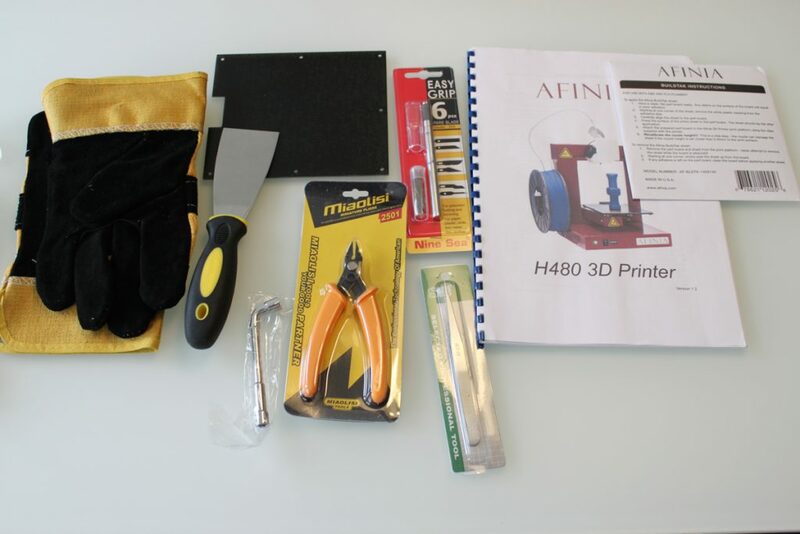 The Afinia H480’s performance and features make it a very attractive 3D printer. In our tests, it proved consistently that it is capable of delivering good 3D print results even for the inexperienced 3D printer user. As such, the Afinia appeals to the user who is looking for a more hands-off approach to 3D printing without needing to learn much about slicing and software controls. This is also exactly the way Afinia is marketing the printer: it is sold as 3D printer that „provides a true out-of-the-box 3D printing experience“. And while that claim proved true in our Afinia H480 review, the interested buyer should note that he’ll have to give up some freedom and control when opting into this philosophy of effortless results. 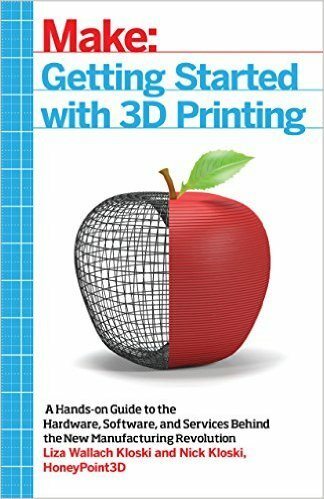 In summary, a very recommended buy for the beginner or the business user who simply wants to 3D print without bothering about the technology behind it all. Less suited for the technically savvy Maker looking to geek out on slicer settings or exotic filament types.